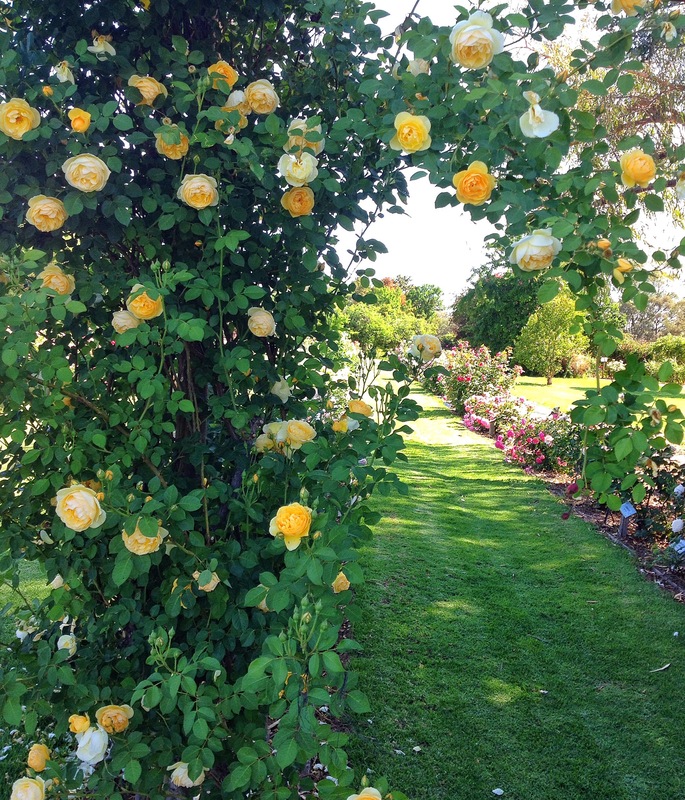 I went to Renmark Rose Festival a few weeks ago. It was incredible so here are a few highlights. 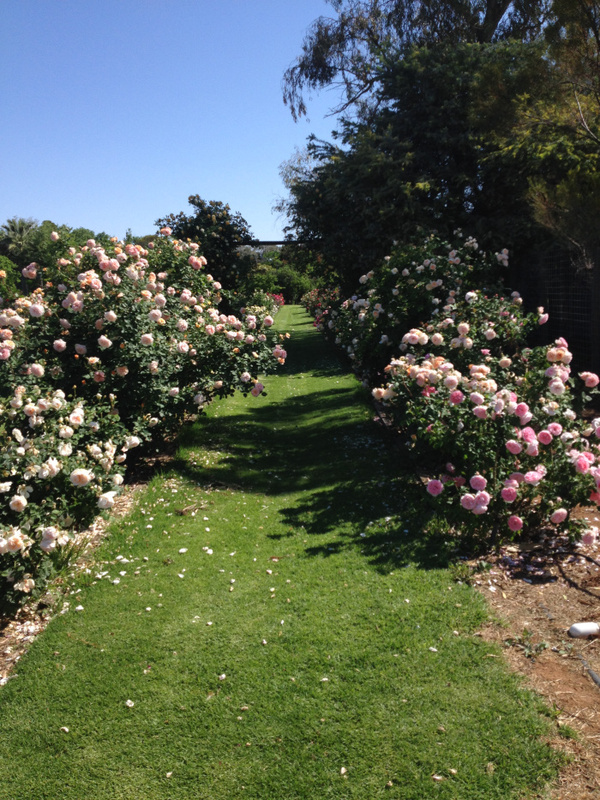 My first stop was Ruston’s Roses – the largest rose garden in Australia and also the national collection. 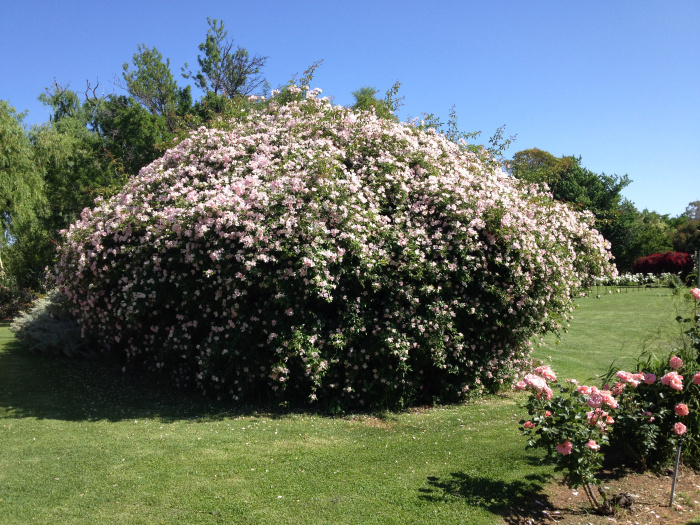 There are 50,000 rose bushes, many of which can be kept in bloom for nine months of the year! The scent as I got out of the car was stunning. 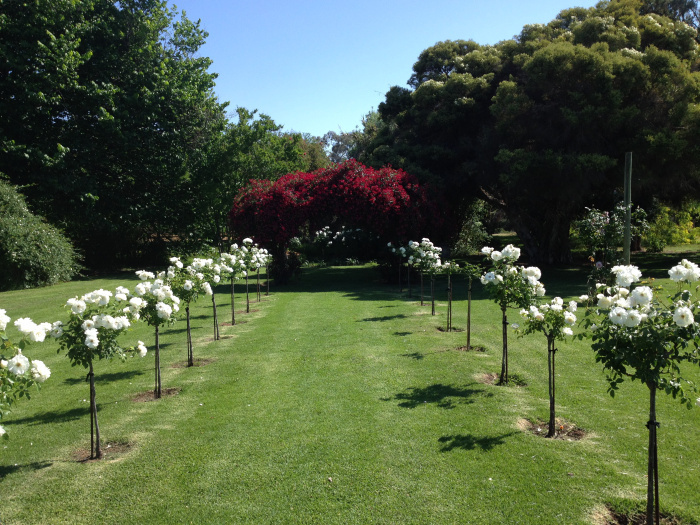 The roses are mostly laid out in rows over 27 acres but there are sections laid out as more traditional gardens. One where you can get married and also Ruston’s personal garden. I wonder how many Brides stop to smell the roses are they walk up this aisle? This enormous bush is perfectly positioned to hide the bridal party from view before the ceremony. Imagine the photos!